Lee Cohen is Dean of the College of Liberal Arts and Professor in the Department of Psychology. 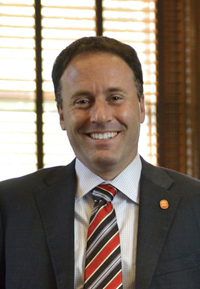 He comes to the University of Mississippi after 15 years at Texas Tech University, where he served as chair of the Department of Psychological Sciences. Dr. Cohen's Ph.D. is in Clinical Psychology from Oklahoma State University. As a faculty member he has received several university-wide awards for his teaching and academic achievement. His research examines the behavioral and physiological mechanisms that contribute to nicotine use and dependence and he is interested in in the development of optimal smoking cessation treatments. He has received more than $1. 5 million from funding agencies including the U.S. Department of Health and Human Services, the National Science Foundation, and the National Institutes of Health/National Institute on Drug Abuse.